Current bag is still as per last post although I have managed to move on the Callaway Razr Hawk Driver which I couldn't get to grip with. I still have the Cobra 414 Comp as Backup for my current DST. I do fancy a Cleveland Classic Driver, I shall see if I can pick one up this winter. Without a doubt this year the Cleveland Mashie has been a revalation this year I just seem to hit out of the right spot. Its great off the tee and off the deck, I might also look for a Mashie 5 wood. I did try the Mashie Hybrid in Reg flex but didn't feel as good as my Titleist 909h. So Winter is upon us and its that time of the year to pick up a few Bargains. The Titleist 983K I picked up last month is working quite well. I'd thought it might be on the stiff side but I've hit some really nice straight drives. 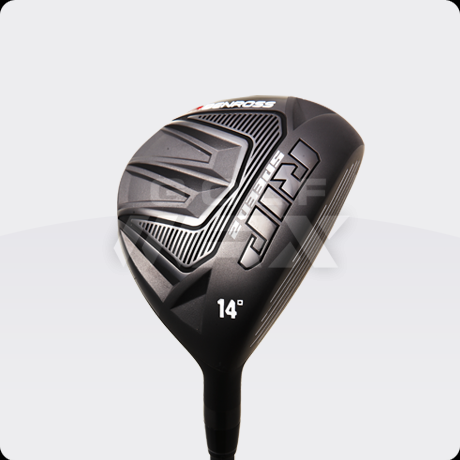 The weight-ier feel I really like compared to the lighter Drivers and the distance is very good also, so I'm going to use throughout winter. It could be turn out to be a real Bargain. Who needs the latest Jetspeed or Greatest Bertha ??? This week I've also picked up a Mizuno MX-700 fairway 5 wood in 18*, its previous owner looked like he'd sky'd a few times but I'm really looking forward to hitting this one, its head is slighty bigger than the usual Compact mizuno heads and the reviews are good. I've also had to change my Stuburt shoes under warranty, a few weeks back the right foot leaked whilst I was playing. I went with the Adizero shoe in Black which has a 2 year Warranty lets hope these don't leak. Good work Nudga, for sure I wouldn't be betting money with you if we are ever paired up with those mixed bags. 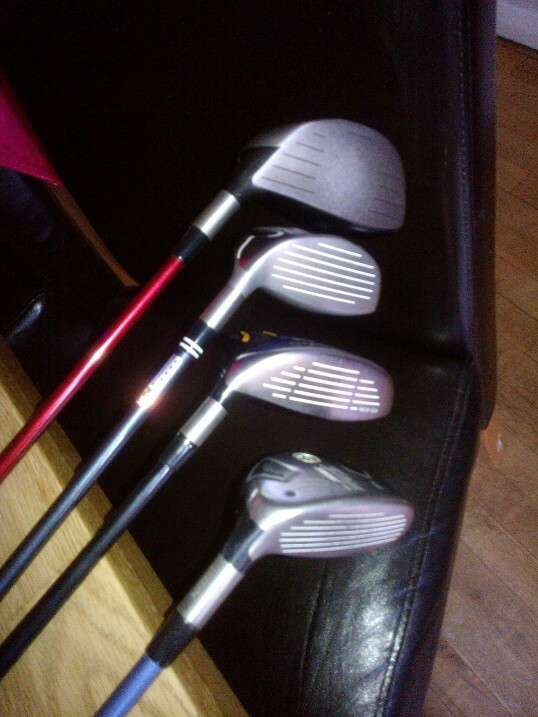 I am the same, have the top end with 4 different brands though my wedges all match. 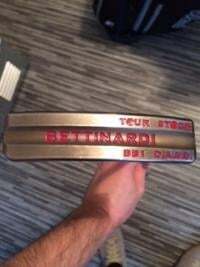 Good to see WITB's from other Brits, I have big plans for my bag in the works in the next month or two so might actually get round to doing my own at some point. Any Brits ever get together for a round or two? I must re do my witb. Just need to find time. IM also more of a reader than poster. I played all my junior golf in Hampshire. Lived in Berkshire though. Currently live near Oxford. This month I finally treated myself to a new Jacket as my old Sunderland (10 Years Old) is no longer watertight, I brought a 2012 Cutter & Buck which has a 3 year warranty (and is Watertight!!) It was on offer via Amazon. Sold three clubs of late... 2-Iron Cleveland TA5, 6-Iron Wilson pi5 and the Nickent Hyperforged 54*wedge apart of my Spring clearout. I also might loose the Cobra 414Comp as I am happy with the other two Drivers. 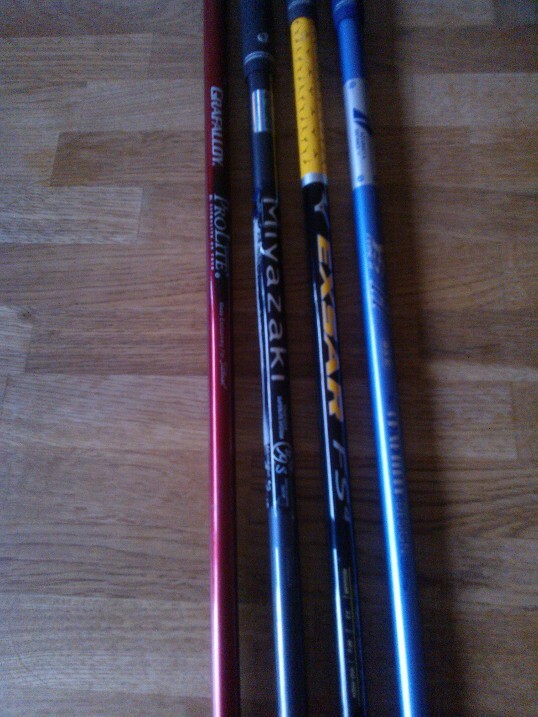 I'll need to get some new lamkins on my Hybrids, 5 Woods and The Titleist Driver which is like an F1 slick tyre. I have some Bridgestone RX balls ready for the spring but will use NIke Vapor Speeds until then. Some changes in the bag again as the I start to play a bit more. 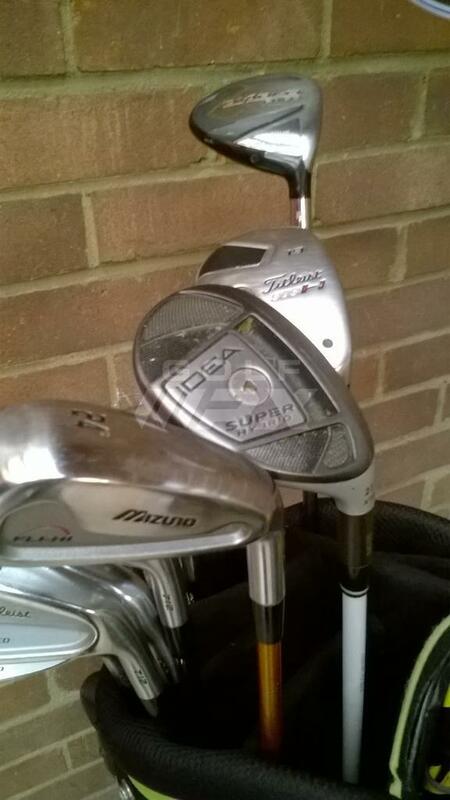 I have sold the Mizuno MX-700 18* Exsar 5 wood and have sold King Cobra 414 Comp 9* Driver. I have acquired anice Nickent 3DX DC Hybrid as a back-up for my Titleist 909. Last week I purchased a Callaway RAZR X Black 10.5 Driver with a Fujikura Motore F8 60g Reg Shaft (Straight in the Bag). 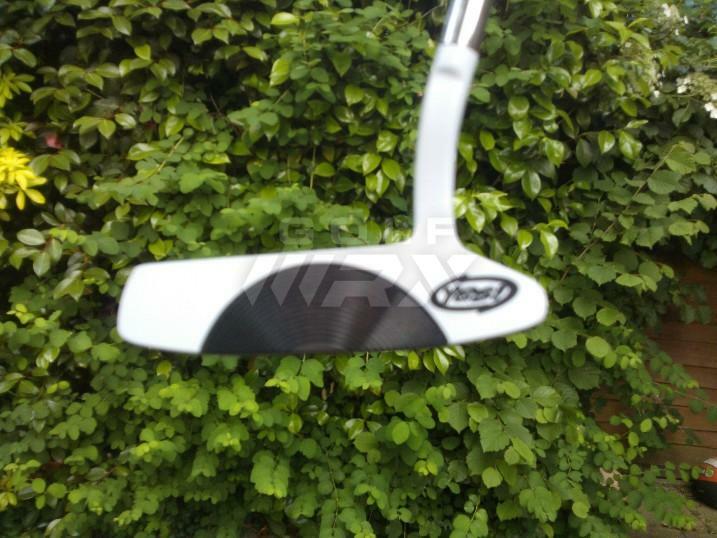 Its secondhand but really its hardly been used, and was a bargain price from our local American Golf Retailer. I also tried a Ping G25 (70g Reg Shaft) and Mizuno JPX 825 (55g Stiff Shaft) both also felt good, but I liked the Trajectory and feel of the Callaway best and I seemed to get more carry with the RAZR X. 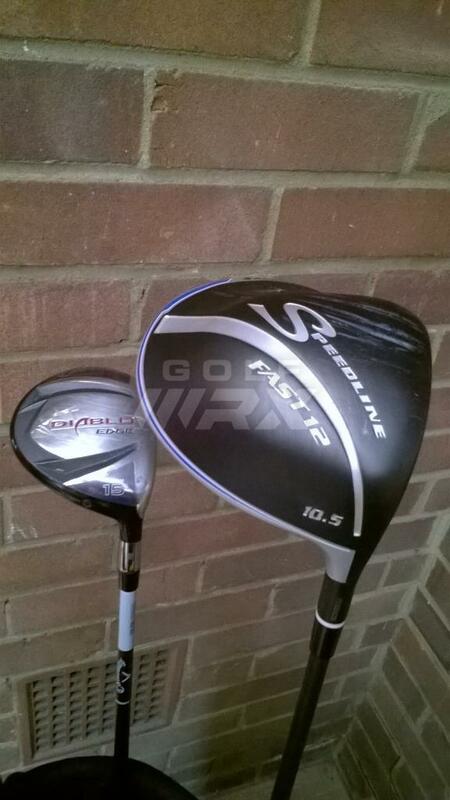 My swing-speed is 90-95 and fairly consistent so when using my other S-flex Drivers they are on the firm side. whereas the RAZR in Reg (60g) is not by no means too soft. I post up some pictures when I get the chance. So the Mashie which has served me well has been moved on. New Toys to end 2014 ! Top of the bag ! Very nice bag. I have found that my XTD at 19 is nearly as long as a 3W. If I had the 17, it would no doubt. Is there much yardage difference between the Diablo and the 17 XTD? I only acquired the 17 XTD last week so I've only been down the range thus far but it is looking good. I hoping it will sit in-between the 3 wood and 21* XTD ( I had been using a 19* Titleist 909h but found the 21* XTD was easier to hit and just as long, if not longer). I'll see how it compares, but I am in no doubt the XTD's are fantastic ! With the second Adams Hybrid added to my game bag, I've cleared out a few others to make way. I'm also currently played the Srixon AD333 Tour ball although I was sent a sleeve of 2015 Z-Star and Z-STAR XV balls which I'll use in better weather conditions. 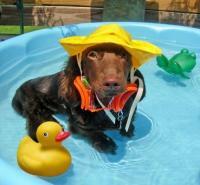 Roll on Summer ! Tried out on Friday, the answer is no its not as long when hit a decent 3 wood. However, its up there and the Adams xtd 17 is like the 21, its so easy to hit every time consistent. The 3 wood excels into wind where as hybrid's take off on a higher ball flight. For me its right where I want it filing the gap between the xtd 21 & the 3 wood. Playing well at the moment although I'm not 100% on confidence on the 3 wood, so the old faithful T-Zoid is in use again. Driver and hybrids going well, irons I'm also happy. Added in a new gap wedge that was going for a great deal its also Dynamic Gold which matches the Iron shafts. 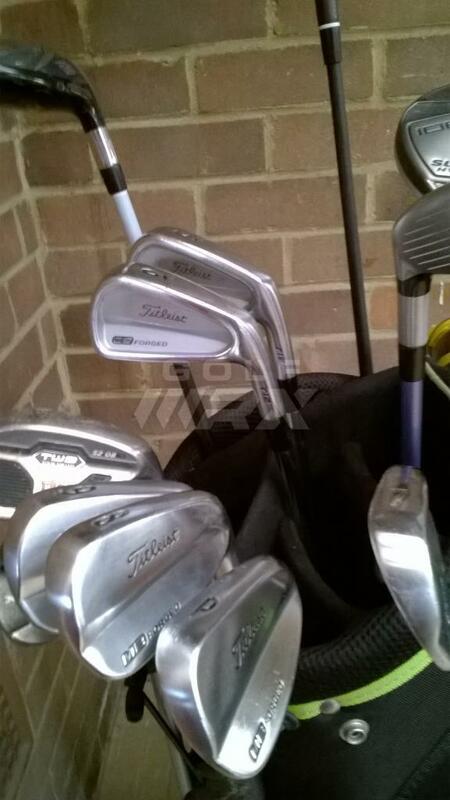 The Titleist 712's have made way for a set of Mizuno MP-58's. The set is 3-PW but I'm not using the 3 Iron just yet. The lofts fit well in my set and I can put in the Fli-hi 24 for the 4 iron when required. 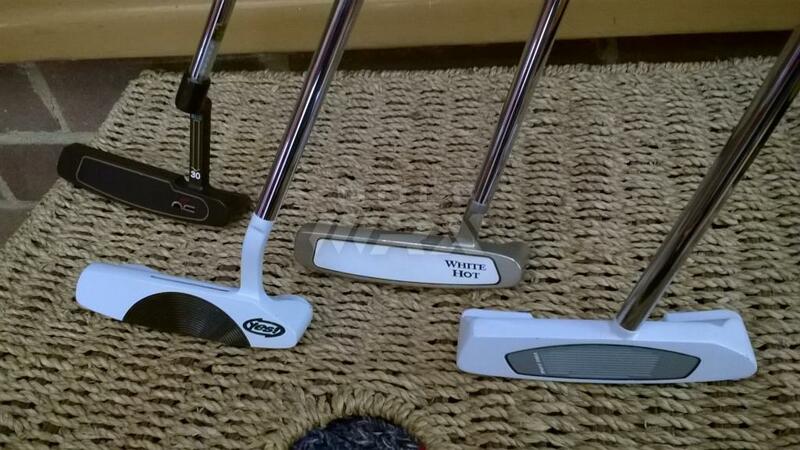 Quick greens now means the Odyssey putter is back in. Got fitted for a Cobra Fly Z+ Driver, which i am hoping to have in the next week. I was also able to try out the range of FLY- Z products which i was really impressed with in particular the Fairway woods were really nice. 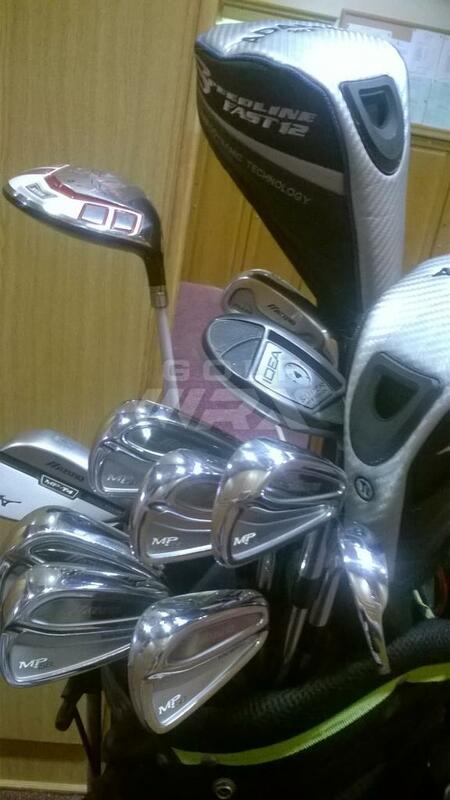 Coming is the Black Head set at 11.5*, Aldila Tour Blue Shaft, Weight set back. Looking forward putting this in the bag when it arrives. So for July thru to September there have been no bag updates until now. 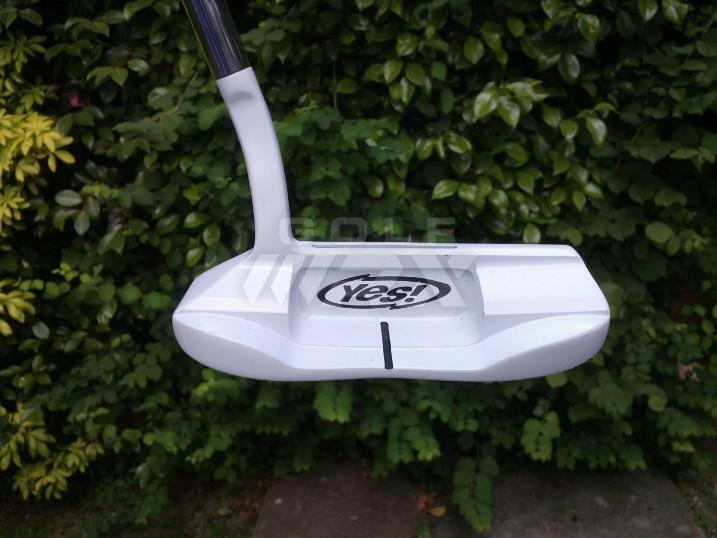 Last week I sold the Never Compromise Sub30 putter. 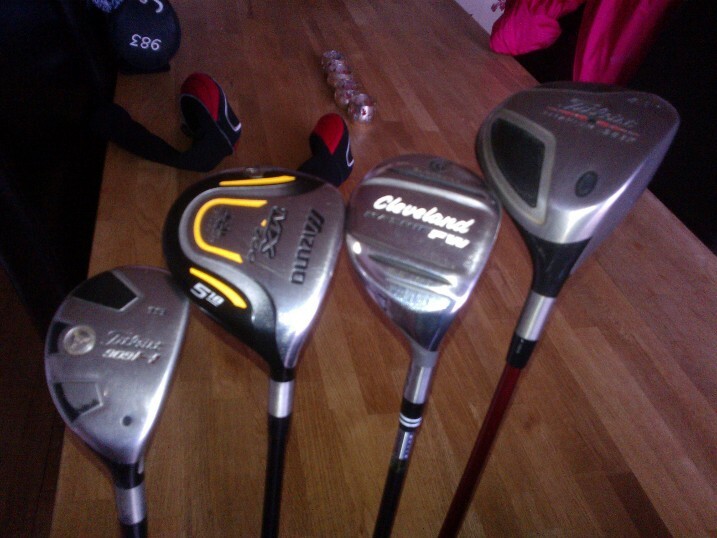 (Leaving me 3 remaining options TaylorMade Whitesmoke, Yes! Bella 12 and the Odyssey White Hot #2). So I brought in an additional 3 Wood into the frame. I was looking in particular to match up the Aldila Tour Blue Shaft that I was fitted for by Cobra. I knew Adams used this shaft in the TightLies Tour (I love the Adams rescues) and Callaway in the Xhot2. That was until i fell across this http://www.benrossgolf.com/products/product/rip-speed-2-fairway so we'll see if its as good as the Tour Edge Exotics. Overall i'm happy with my game, had a lesson in July made some swing changes and being playing quite solid actually to my Handicap (Currently 9.4). Do I put the new 3 wood straight in for the weekends monthly medal? Put the Benross RIP Speed 3 wood in play at the weekend, no issues whatsoever but I still love the low profile of the Tour Edge Exotics. Happily play either. Through the winter been playing Winter League and made a small bag adjustment, after going to the Range @ Silvermere GC. I was able to go through my gapping's throughout my bag as they have some tablets which give you carry distance. 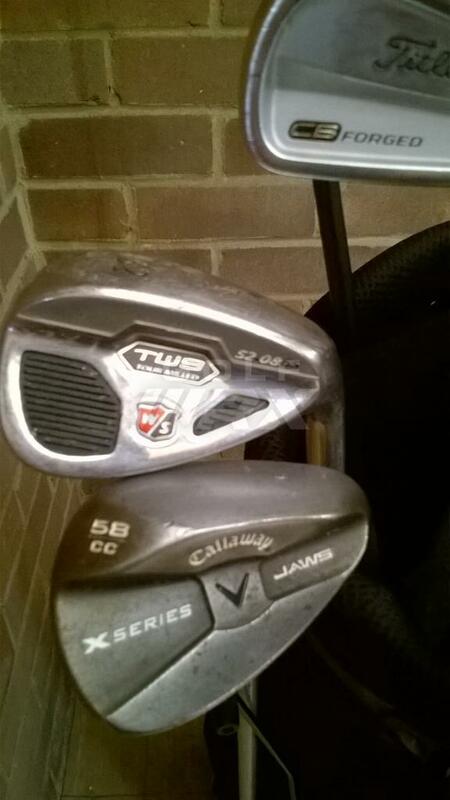 I was quite happy with each club until I got to my two 3 woods. I was surprised to see that the TEE was much longer & launched better than the Benross, so the RipSpeed2 has been RIP'd and sold! I have also been re-acquainted with my old Callaway Fusion 4 Wood (Aldila NVS), I sold this to a mate before I started my WITB back in 2010, he no longer needs it so I got it back. Its like an old friend but I may need to replace the Original grip !